Time for a little fun - some ideas for classroom decor. 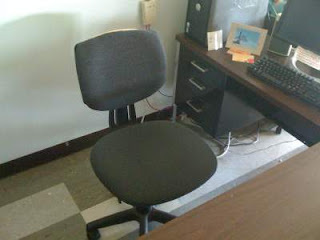 Have an old, shameful-looking desk chair? Reupholster it! It's a much easier task than you might think. 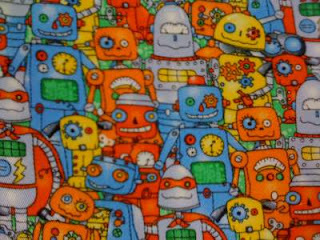 Choose a fabric that can take a little abuse and won't wear or fade quickly. Remove the cushions and trace around them onto fabric adding about 4 inches all around. 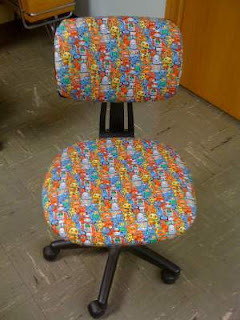 Create a casing, insert elastic, fit around cushions, reassemble chair. 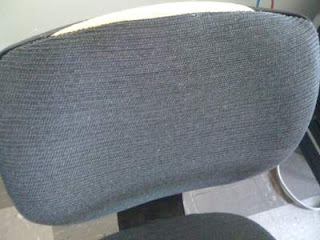 Presto – “brand new” chair, in your choice of covering! 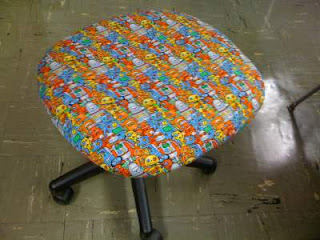 Home Ec teachers can't have ripped chairs! 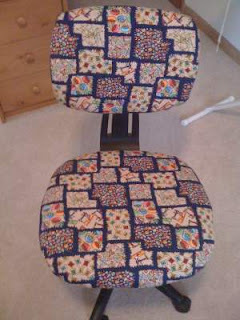 Sewing room chair (this gets addictive).